Let’s take a look at some of the most interesting cookie cutter shark facts. Cookie cutter shark (Isistius brasiliensis) is a very small shark. Its body is shaped more like a cigar which is why it is also known as ‘cigar shark’. It has glowing underside thanks to the luminous spots called photophores that emit green light. It has blunt-ended short snout. Its green eyes are very big and oval-shaped. The eyes are located far ahead along with big spiracles. Each eye is encircled with fleshy lips. Unlike lower jaw, the teeth of the upper jaw are very small and narrow. It has 5 small gill slits and has coffee-colored body. A dark ‘collar’ circles its throat perhaps to lure the prey. Female sharks are slightly bigger than the male shark. 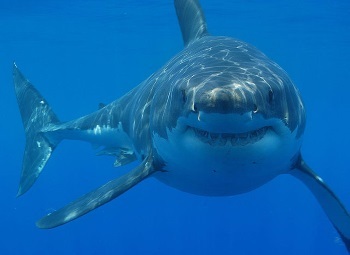 The maximum length of a female shark is measured at 1.8 feet while the male shark has a length of up to 1.3 feet. At birth, the size of a pup is up to 15 centimeters in length. 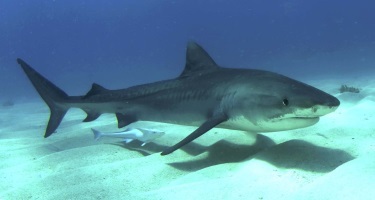 A female shark reaches maturity at a length of 1.2 feet while males mature slightly earlier. A female shark lays 6 to 12 pups per litter. Where do Cookie Cutter Sharks Live? Cookie cutter sharks are found in the warm-temperate and tropical oceans around the world. Off the Atlantic, it is found in South Africa, Angola and all the way up to Sierra Leone from Guinea and also Cape Verde, Brazil and Bahamas. It is found in Japan, New Zealand, Australia and all the way from Mauritius to New Guinea, off the Indo-Pacific. What Do Cookie Cutter Sharks Eat? It has very strong bite. It can swallow its prey as a whole thanks to the wide gape. Cookie cutter sharks are known to bite even larger fish and mammals. It is known to bite elephant and leopard seals, sperm whales, dolphins, stingrays and small bony fish. 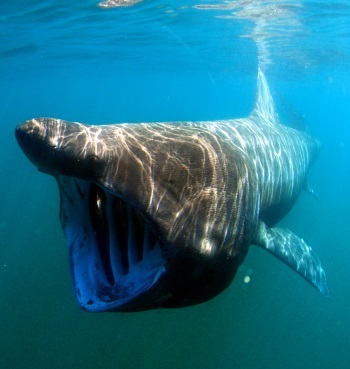 Apart from these, they are also found to bite sharks like goblin, megamouth, blue, basking and even the great whites. It eats squid and copepods as well. Due to its small size, cookie cutter shark poses no threat to divers.